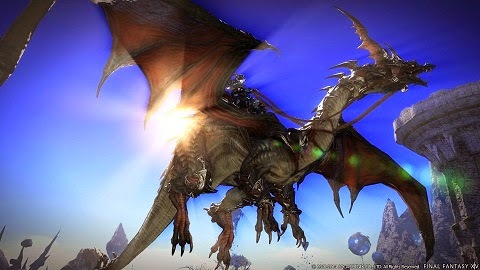 This entire post is CHOCK FULL OF SPOILERS for the most recent story events in FFXIV. Seriously, if you don’t want spoilers turn back now. Alright, so I’m going to be theorizing based on the state of things as of the end of the current storyline, and particularly one scene that shows up after the ending credits. I’m assuming if you’re reading this you already know what’s gone down, but if not you can listen to us talk about it on the latest Aggrochat podcast. The important thing for our purposes here is that the Scions of the Seventh Dawn appear to have been nearly wiped out. Yda, Papalymo, Y’shtola, Thancred, and Minfilia all remained behind and apparently gave their lives in Ul’dah to aid our escape. What really got me thinking, though, is the final cutscene where we see Urianger speaking to Elidibus, the white-robed Ascian. We don’t see much, but Urianger appears to be ready to enter into a deal with Elidibus. My theory is about that deal and the possible repercussions. I think Urianger, already hit hard by the death of Moenbryda, was devastated by the apparent deaths of the other Scions. Willing to do whatever it takes to save them, he enters into a deal with Elidibus, offering him the stone from Louisoux’s staff if the Scions can be returned to life. Elidibus accepts, and the Scions are restored, but not without cost. They come back in the thrall of Elidibus’ “One True God”, effectively tempered. This would lead into a storyline where we find ourselves having to face our former friends and desperately search for a way to free them of the Ascians’ influence. I see us facing them one by one, most likely starting with Moenbryda, and collecting a dark crystal from each as we defeat them. Adding Moenbryda to the five Scions who fell in Ul’dah would give us a total of six dark crystals to collect, just as we collected six light crystals from the primals in the Realm Reborn story. I might be entirely off base with all of this, but this seems to me like something that fits in with the sort of story the FFXIV team have been telling thus far and also hearkens back to aspects of previous Final Fantasy games (collecting dark crystals, friends mind-controlled and set against the party). I’m looking forward to seeing if I’m right.